I’d like to introduce Dr Joan St John. She is a GP / Diabetes Specialist. She is the lead for diabetes in a practice in Brent, UK. Dr Joan also has a crucial role working with Diabetes UK as a Clinical Champion. As a GP, I have been interested in Diabetes for many years and this has been for a number of reasons: I work in an area where there are thousands of people living with the effects of Diabetes on a daily basis, I have seen how it can affect individuals, families and communities and I am passionate about educating people to live healthier lives. I try to do this whenever I can, so this might be in the GP Practice, within my role in a local diabetes service and especially in my role as a Diabetes UK Clinical Champion. It’s about ‘Education, Education, Education’ and this could involve the person in front of me in the consulting room and their family member, or giving talks to community groups and also being involved in the education of healthcare Professionals. I work in a Practice that has over 1,000 patients living with Diabetes. In our area, because of the communities that live there, more than 90% of the people affected by Diabetes have Type 2 Diabetes and less than 10% have Type 1 Diabetes. The voluntary Clinical Champions role that I do for Diabetes UK seemed like a great opportunity to work with others to try to further improve the quality of care provided to people with Diabetes. The work has involved developing resources for people with Diabetes, giving talks to local groups and education events for healthcare professionals. As someone who has lived with diabetes for 21 years, I’ve had the opportunity to have been in the care of many diabetes specialist. I’ve had mostly good experiences but also some very bad ones.You can read about my experiences with good and bad doctors here. What do you think are the qualities one should possess, when dealing with a diabetic patient? And how do you ensure continuity, when you have new GP’s in your clinic? A good pair of ears to listen with! Because I believe first and foremost it is about a conversation and dialogue between the patient and the healthcare professional. Most GP Practices try to ensure continuity by asking Patients to wherever possible, see the same Doctor for the same, or an on-going problem. In terms of standardising care, we try to ensure that the care provided is standardised, by providing training in Diabetes to new GPs or healthcare professionals in our Surgery or Clinic. What sort of care do new patients recieve? If you have Type 1 Diabetes then you will need to be referred urgently for specialist care to start on Insulin. With Type 1 Diabetes your body is no longer producing Insulin and you need Insulin to survive. Following this you will need to have advice about the how to manage and live healthily with your Type 1 Diabetes and insulin treatment. Type 2 Diabetes on the other hand usually develops slowly over a number of years. It can creep up on someone so that they don’t realise that the tiredness, infections, rashes, frequent urination or change in vision, might be due to the development of Diabetes. With Type 2 Diabetes the first steps would be to explain what it is and how it has developed. We would aim to ensure that you had some structured advice and education about how to manage the condition and advice about treatment. With both types people will need on-going advice about the condition and treatment required, monitoring of the condition and support. What advice do you have for people or parents of children, who have recently been diagnosed? There are lots of people who live healthily with this condition and there is a lot of help available. Healthcare professionals provide some of this, but given that most of the time the person with Diabetes is the one managing their condition, in a year they may spend about 3hrs with a healthcare professional out of the 8,757hours that they have to manage the condition themselves! So Amina, blogs like yours that provide peer advice, or other social media platforms can be really helpful. There are a number of local and national Charities providing help and advice for people with both forms of Diabetes and Diabetes UK run ‘living with Diabetes days’ and many other forms of support either with online, telephone carelines, or leaflets that People of all ages can find helpful. Some of the important aspects, that I’ve learnt about managing my diabetes are, the routine blood testing, eating healthily and exercising. These are all very essential, when managing the condition. However, another important aspect of managing this condition, is being able to psychologically deal with all the challenge’s one may encounter. What’s support is there for the psychological and emotional impact of a new diagnosis/ongoing condition? I am pleased to say that the psychological impact of how receiving the diagnosis, and also living with this condition affects People is becoming more recognised and acknowledged by healthcare Professionals. As a result more healthcare Professionals are receiving training in how to help someone living with Diabetes make changes that the individual themselves identifies as important to them, to enable them to live more healthily with this condition. In addition, it is the case that more diabetes services are enlisting the help of psychologists within their teams to support and enable people living with Diabetes to deal with the challenges they face on a day to day basis. What suggestions or advice do you have for someone who has a family history of diabetes but hasn’t yet been diagnosed? This is my other passion within the field of Diabetes. I know how important it is to spread the knowledge about how to prevent and avoid developing Type 2 Diabetes because there is a lot of evidence to show that this can be avoided or the onset delayed. Currently in the UK there are about 3million People living with Diabetes, but it is predicted that there could be more than 5million people at risk of developing Type 2 Diabetes. Having a family history of Diabetes means that your risk of developing Diabetes is increased, this is more the case with Type 2 Diabetes but there is also some increased risk of developing it with a family history of Type 1 Diabetes. There are some exciting developments in the NHS, in that a national Diabetes prevention programme is being developed. This will be the first National diabetes prevention programme anywhere in the World. I back this initiative, as my experience has shown me that people would welcome not only knowing that they are at risk, but also receiving advice about how to avoid, or delay the development of this condition. I hope this has given you a flavour of what I’m doing and what I’m about. Hopefully, you will invite me back another time so we can talk more about the Prevention, new developments and the management of Diabetes. Thank you so much for asking me to be a guest on your blog Amina. Wishing you and your readers, All the best. GP with special interest in Diabetes and Diabetes UK Clinical Champion. Thank you so much for taking the time to share with us your knowledge and experiences with treating diabetes and working within the diabetes community. I look forward to the second installment, where we can learn more about prevention, new developments and diabetes management. This week in the UK is diabetes week and this year’s theme is ‘I can’. Diabetes has been a part of my life since I was 11 years old. At such a young age I had the burden of such a huge responsibility. It forced me to mature, it taught me about myself and even more so how I am able to deal with my emotions. When I was diagnosed I went through a range of emotions from being angry, to being very upset about the hand I was dealt. This would have daunted anyone but I had a realisation that actually “I can do this”. And with time I also realised that, I can do anything that anyone else can do regardless of my diabetes. As a newly diagnosed diabetic, being able to deal with emotions is crucial to being able to progress and live a normal life. Looking back to how I dealt with those emotions, it helped me move on with my life and live normally. Yes I have my bad days but I am able to push through and get the job done. Diabetes is a priority in my life but not the only priority. I have not allowed it to be my main focus and stop me from being able to achieve everything that I’ve aspired to do. This may sound strange but I take care of it, so in fact it takes care of me. It has not crushed me and will never hold me back. It has propelled me into so many different directions. From being able to go to university and study, to travelling the world, to even being able to have this blog and ultimately being able to have my beautiful children. Even something as small as being able to drive. I can do it because diabetes has not prevented me from being able to do so. I won’t let it be a hindrance. Even with diabetes you most certainly can do whatever you put your mind to. 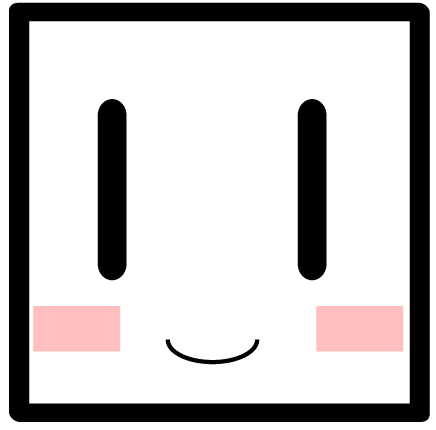 I can. If I can, you can too. 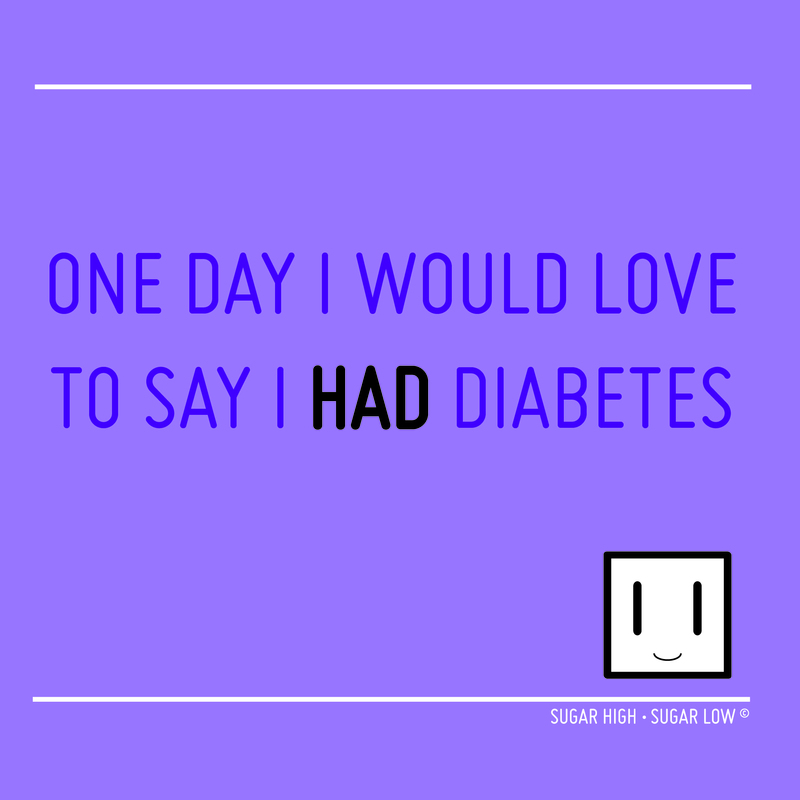 Since I was diagnosed, I always hoped that one day I’d wake up to the news of diabetes being cured. For now this is a prospect that I can only dream about. Type 1diabetes has been with me for 19 years and the truth is, until they find a cure it will always be a part of my life. I pray that, one day I will be able to say “I had diabetes” and “it affected me in this way and that way, but I now no longer have it”. I’ll be Amina and although my diabetes will be long gone. It will be like a scab, pick away and all I’ll have left of it will be the memory of our time spent together. I will be able to function just like everybody else. No blood glucose checks before meals, no insulin pump, no insulin and no need to correct my sugar. Diabetes free, I will be. 1. Diabetes Research Institute Foundation – have developed a cell based therapy, that works by transplanting insulin producing islet cells and they have been able to restore natural insulin production in patients involved in clinical trials. Patients have been able to attain insulin independence and experience normal blood sugar levels. A lot of these patients have lived without any insulin for a long period of time. They have now gone further with this research and are currently trying to develop what is known as the BioHub (mini organ) which is able to function like a normal functioning pancreas. This BioHub will contain thousands of insulin producing cells and be able to know what blood sugar levels are and then administer the correct insulin required instantly. 2. Melbourne researchers, Professor Len Harrison, Dr Esther Bandala-Sanchez and Dr Yuxia Zhang – have identified an immune protein that has the potential to stop or reverse the development of type 1 diabetes in its early stages, before insulin-producing cells have been destroyed. In order for more research to take place and for us to hopefully be successful in finding a cure for diabetes, organisations and research institutions need more financial support. If you’re able to help please refer to some of the links below or look for a diabetes charity of your choice.